Meet Dane, a purposeful young boy with a lot of hope and a lot of promises. Dane is interested in the “rescue” side of law enforcement and wants to be a medic within the law enforcement context. 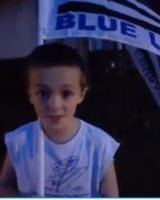 Honoring Fallen LASD Deputy Steven Belanger with a tribute video made by Zechariah, Running for Heroes. Zechariah is honoring Deputy Belanger by dedicating the 7th mile of this Sunday's "Daytona Beach Half Marathon" to honor him. He was a hero. Let us never forget his commitment to serve! Los Angeles County Sheriff Alex Villanueva, sworn in just two months ago, addresses questions posed by the LA Board of supervisors and the Los Angeles Times. 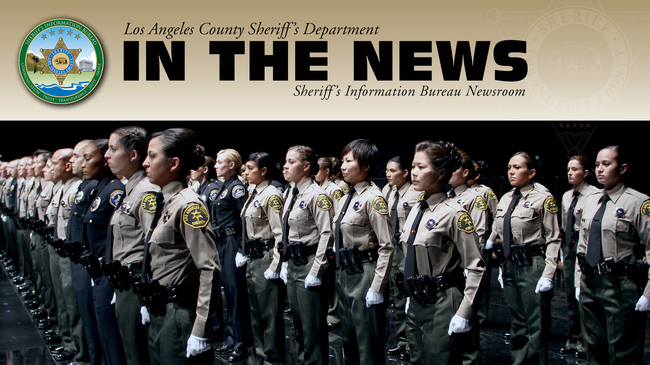 Renee Eng speaks with LASD Lieutenant Scott Aikin from the Los Angeles Regional Human Trafficking Bureau about how law enforcement is aggressively going after suspects and rescuing victims in this community issue. Lieutenant Giandomenico and his elite team of SEB partners, decided to ramrod the fundraising efforts to provide a school for the children in Kenya that had impacted their own lives. "School of Angels" was built, providing a safe place of education for the students, as well as an economic boost for the local community. 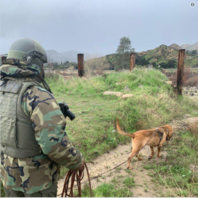 An inmate who escaped from a Castaic detention facility was found and recaptured after an hourslong search on Sunday.